At the beginning of October starts another season of the Polish Cinema for Beginners, a series of film screenings and discussions, which for five years to date has been presenting the most interesting works of Polish cinema to the residents of Wrocław. During the 9th edition we will see how Polish filmmakers regard the world abroad. The 9th edition of the Polish Film Institute Award-winning project will last from 5 October to 7 December in the New Horizons Cinema. As always, the whole event is held in English, so that all Wrocław residents – no matter where they are coming from – can get to know Polish culture, customs and history. They will also benefit the presence our exceptional guests: filmmakers, who will once again accompany the viewers on their journey following the footsteps of Polish cinema. 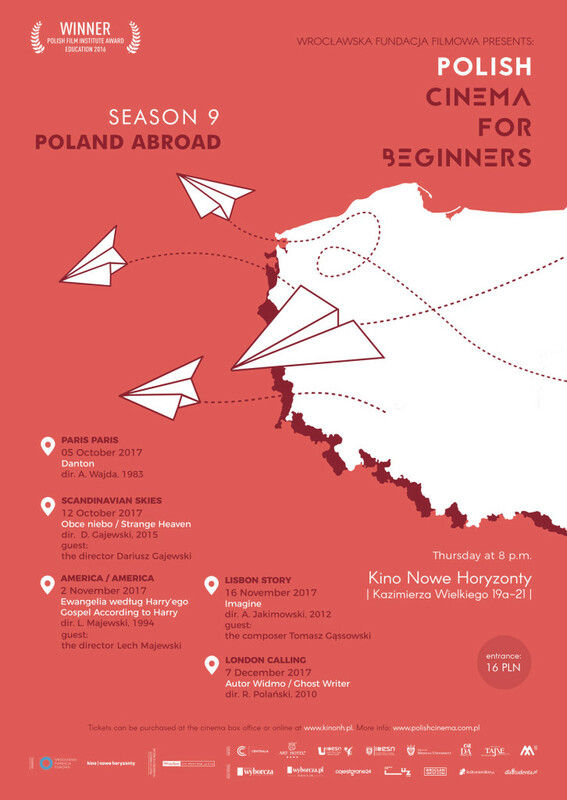 In spring 2017, Polish Cinema for Beginners brought to the international audience the film portraits of Polish cities – from Łódź, through Wrocław, to Poznań. In the edition called Poland Abroad, we will present five films that will be arranged as a journey along the paths of Polish cinema all over the world. From Wajda to Polański, we will take a look at how Polish filmmakers find themselves in the international cinematography and how do they describe the world out there. The review will be opened by the digitally reconstructed Danton by the great Andrzej Wajda, made in France with the memorable, title role of Gérard Depardieu. For the closing, a film by Roman Polański, the most internationally known Polish filmmaker, The Ghost Writer, with a splendid acting duel between Pierce Brosnan and Ewan McGregor. In the meantime, we will take a closer look at how younger filmmakers tell us about the world: Dariusz Gajewski’s Strange Heaven will show us the fate of a Polish family in Sweden, and in Imagine by Andrzej Jakimowski, we will see a unique portrait of the Portuguese capital. We will also go to the United States, where Lech Majewski made his poetic film Gospel According to Harry, with the first important role of Viggo Mortensen. 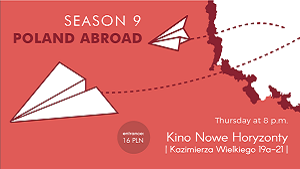 The opening of the 9th season of the Polish Cinema for Beginners will take place on October 5th at 8:00 pm in the New Horizons Cinema. Tickets can be purchased before the screenings at the ticket offices and at KinoNH.pl website. More information about the project can be found at: PolishCinema.com.pl and facebook.com/PolishCinema. You are invited to the Polish Cinema for Beginners by the Wrocław Film Foundation.